Свет мой, зеркальце, скажи... Безусловно, Huawei Mate S является одним из самых красивых смартфонов на данный момент. Но что прячется за этой красотой - не менее впечатляющая функциональность или лишь ее иллюзия? I rather like the Huawei Mate S. I'm glad Huawei has reduced screen size here, as it makes it easier to hold and the all metal body really does look and feel like a premium handset. The Huawei Mate S Premium is out to show off what the future of phones will be all about. Ok, and it was also a way to one-up Apple as the first pressure sensitive phone, even if we’re only getting to look at this tech six months later. At €649 in Europe and about the same in green through Amazon US, the Huawei Mate S is aimed at the premium market, and it definitely looks the part. Of course, that alone hardly exhausts the list of requirements you bring to the store when you're ready to part with that much cash. Unfortunately, it's impossible for us to recommend the Mate S, and that's actually kind of frustrating — it has the bearing of a competent top-shelfer, but falters in way too many categories to pull off the needed performance. Software, in particular, along with system performance, definitely leave more than a little to be desired, and areas such as the camera and battery life are only kind of close — but not all the way there. The display, too, could use some work, though at least you can tweak the white balance to better the image. So, just a pretty face? No, that's unfair. But perhaps Huawei made a mistake pricing this as steeply — it could have been a darn good product for a hundred less. As we're coming to the conclusion, I'm left with mixed feelings in regards to the Mate S. In terms of design, this has been by far Huawei's best device to date. The vendor has managed to update or to improve in all aspects of phablet design: aesthetics, ergonomics and build quality. In terms of aesthetics, Huawei didn't veer off too much from their design language found in past devices. 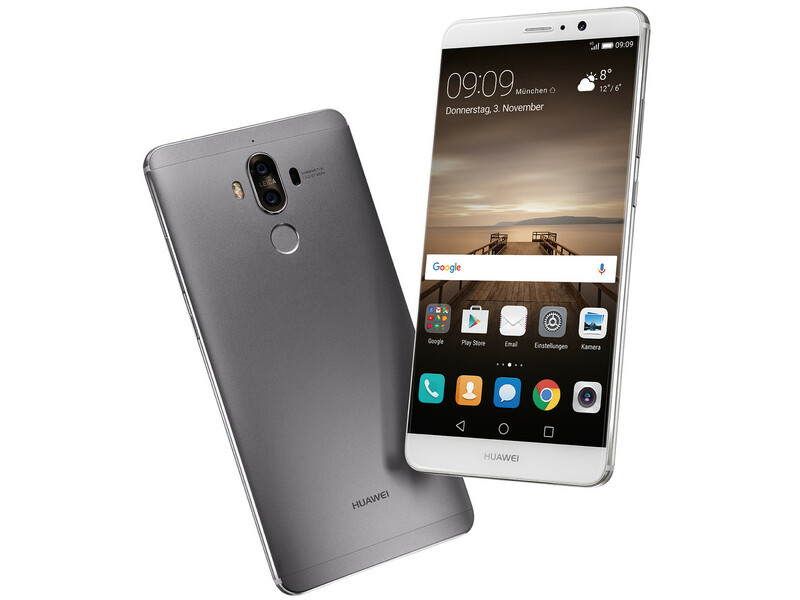 If you are keen on specs and would like to squeeze every last drop of processing power out of your handset, the Huawei Mate S, like most of its siblings, shouldn't really be your first option. Its price tag might be justified to some extent, considering the premium materials and build, but it throws it amidst a less than favorable flagship crowd. The truth is you can pick up a more versatile device for the price, but you would have to look pretty hard to find one that is nearly as stylish. Despite being significantly more affordable at £250 the Honor 7 doesn’t really miss out on a whole lot the Mate S brings to the table; with the same resolution screen and cameras, a metal build, fingerprint sensor, similar storage options and dual-SIM 4G. The Z5 meanwhile adds waterproofing and one of the best smartphone cameras in the business into the mix for a similar price tag. Based on our month with the Huawei Mate S, it’s a very promising phone. Its design is beautiful, it’s lightweight and it fits perfectly in our hands despite the 5.5in display. The custom Android UI takes some getting used to, but it offers something different to the standard Android experience with the inclusion of a timeline-based notification centre and knuckle touch control. The cameras are impressive, but they aren’t quite as high-end as Huawei has made them out to be. The only real let down is the graphical power, as benchmark results put the Mate S in line with smartphones around £200 cheaper, although we experienced no real lag in our use. On the whole, I really like what Huawei have done with the Mate S. It is a beutifully made device, and it gives me hope as to how good the Nexus 6P will be when it drops into our laps. If you are looking for a high-end phone for a fairly reasonable price (£450 as this goes to print), then this is worth a look. It does however have some very stiff competition, with the main competitor coming from within in the form of the Honor 7. Yes, the Honor does have a smaller screen, but it has the same build quality, the same EMUI overlay and a higher megapixel camera unit. All this comes at a great price of £250. This is a tricky one, because I’m not really sure who the Huawei Mate S is targeting and I don’t know if and when it will come to the UK. Yes, it looks really nice. It’s slim, light and powerful and has a big, accurate display. But it doesn't really do anything better than the competition. The implementation of Force Touch in the top-end version is pointless and it seems like it was only included to make a splash in the press and get a one-up on Apple. For me, it doesn’t work and it doesn’t need to be there until someone finds a good use for it. Huawei Mate S review: Yes mate! But the Mate S finds itself in a slightly awkward place. It's undercut in price by the excellent OnePlus 2 and perhaps won't turn heads as readily as something like the Samsung Galaxy S6 edge+. That said, it is substantially cheaper than the Samsung and the likes of the iPhone 6S Plus, which should make it attractive for those looking for a great handset in this sub-premium sector. Ultimately, our initial fears that the Mate S was just a more expensive Honor 7 didn't quite come to pass, as it manages to squeeze a little more power out of the same processor while updating the OS and introducing a slick, slimline design. That said, the performance difference isn't that great, and Huawei's handset still can't keep pace with the latest offerings from Samsung and Apple. So there you have it for this in-depth look at the Huawei Mate S! Overall, the Mate S is a really good phone, with its beautiful display, good battery life, and great camera. Performance is smooth and snappy for the most part, and while EMUI isn’t like stock Android, the slew of shortcuts and gestures available enable a good experience. 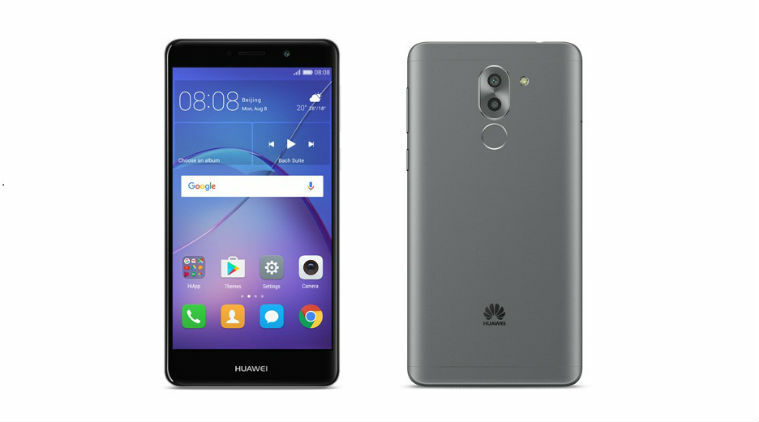 And when you include what is probably the most useful fingerprint reader in a handset, it is an easy decision to give the Huawei Mate S our Editors’ Choice Award. The Huawei Mate S oozes quality. The stuff is dripping out of the thing’s microUSB port like sap. In pure hardware terms this is one of the most finger-charmingly impressive metal phones to date. The Mate S is a slim phone where the slim factor isn’t meaningless too, letting you keep its body pristine with a case without it filling your pocket. And ‘naked’ it disappears into your jeans more than and 5.5in phone of old. 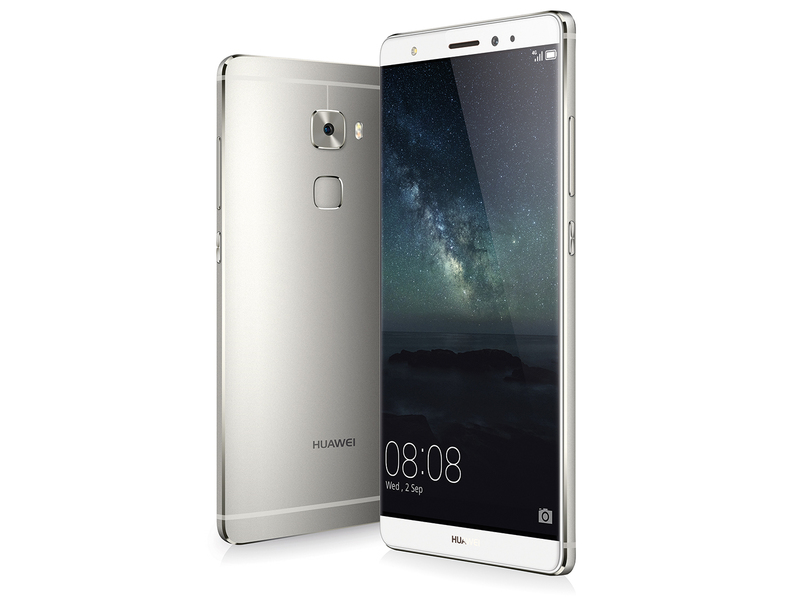 Aside from that, the Huawei Mate S looks like another solid smartphone offering from the Chinese smartphone giant. It’s good to look at, and is packed with all the features you could possibly want plus a few extras to boot. The decision not to include the force-touch screen on all models, though, is more than a little disappointing. In a nutshell, the Huawei Mate S looks to be a serious player in the big-phone space, but all that power doesn’t come cheap, with prices ranging from €639 to €699 depending on the skew you’re after (and that doesn’t even include the 128GB model with force touch). The other cloud waiting to rain on this new phone’s parade is the recently revealed Honor 7, which we kept drawing comparisons against throughout our hands-on, and for good reason. I rather like the Huawei Mate S. I'm glad Huawei has reduced screen size here, as it makes it easier to hold and the all metal body really does look and feel like a premium handset. The fingerprint scanner on the rear is impressive, the camera is stuffed full of features and it's coming in cheaper than the core flagships on the market. The Huawei Mate S is a surprisingly solid smartphone with a strong feature set and attractive design making it an appealing proposition. If you can get past the questionable interface design there's a lot to love here. It may not be an iPhone or a Samsung, but it'll certainly turn a few heads down the pub. Реализовав весь функционал своего нового телефона на достойном уровне, Huawei неожиданно выпустила одно из самых удачных электронных устройств 2016 года. С такими параметрами конкурентом Huawei Mate 9 можно было бы назвать Samsung Galaxy Note 7, если бы он не взрывался. Но свято место пусто не бывает, Mate 9 можно сравнить с Apple iPhone 7 Plus и корейский LG V20. Цены на Huawei Mate 9 пока неизвестны. Есть предположение, что новый фаблет будет стоить около 699 евро (примерно 50 тысяч рублей). А теперь — внимание, цена! Как я уже сказал ранее, Huawei не уверены, стоит ли выпускать модель на российский рынок, и вот почему — на просторах нашей необъятной «белые» сертифицированные смартфоны будут стоить даже дороже, чем в Европе, эдак 55-60 тысяч рублей. Купите ли лично вы рекордно навороченный и приятный во всех отношениях китайский «лопатофон» по такой цене? The Huawei Mate 9 delivers a great experience at a much more palatable price point than today's flagships. It’s got great battery life and a respectable camera, although you will want to invest the time into learning its pro features and understanding how to get the best results. Once you look away from some of the benchmark charts and back at the device running in your hands, you realize that it handles even demanding applications with smooth, steady ease. You should probably invest in a better case than the plastic shield it’s boxed with, but Huawei including any case at all was a nice touch. It might be a thousand dollars, but a good and wonderfully large screen, strong overall performance and a very respectable battery life makes the Huawei Mate 9 a very good buy. The Huawei Mate 9 is a winner in every respect, and absolutely deserves to cement Huawei’s place as a leader in the smartphone field. A real stunner, and a prime candidate for anyone missing the Galaxy Note series. Excellent screen, camera, audio, battery life, and processor performance all wrapped up in one neat and tidy metal package. Huawei was always the team that produced incredible phones at incredible prices. Those days are over. You’re going to get a great phone but you’ll need to pay for it. The cheapest I could find the Mate 9 was at a price point of R9 199 while others had it going for close on R15 000. It is a glorious phone and if you’re a power user (meaning you never put your bloody phone down) you might want to consider it. However, keep in mind that Samsung’s new offering is on the way and LG is about to launch a phone locally as well. So you might want to sit on that big lump of cash until the competition comes to the party. In designing the Mate 9, Huawei came up with a large screen phone with a well-rounded experience. Sure, the Mate 9 doesn’t come with a unique feature that’s unavailable on another phone—like Samsung’s MST feature in Samsung Pay—but it combines the best aspects from its competition in an attractive package at an affordable price. The Mate 9 marries the V20’s audio and video capture prowess with the phablet craze driven by Samsung’s Galaxy Note lineup along Apple’s shallow depth of field camera and metal construction. Besides that, though, this is an excellent phone. It hits a lot of the right notes and even comes in at a reasonable price of RM2,699 — RM300 cheaper than its nearest competitor, the 5.7-inch HTC U Ultra. If Huawei’s P10 and P10 Plus aren’t big enough to satisfy your needs, then the Mate 9 is still an excellent choice. The Mate 9 is currently retailing for $599 through Amazon, which is an attractive price for a large-screened smartphone, as they usually come at a price premium. It’s much cheaper than the Google Pixel XL or the iPhone 7 Plus, while the LG V20 comes in at a similar price point. Considering the solid range of hardware Huawei has included in the Mate 9, it’s a great choice for those after a large handset. The Huawei Mate 9 excels as a piece of hardware. The display is big and bright. The processor performs admirably and is relatively fast albeit with an occasionally slowdown. The camera produces high quality pictures. The fingerprint sensor is fast and accurate. The phone feels extremely solid and sturdy but it is big. In most respects the Mate 9 is a true upgrade from the previous model. It offers a new SoC that boasts significantly improved graphics power, refined industrial design that makes the phone look and feel every bit as premium as a Samsung or Apple handset, and a much improved camera. It is not perfect, but it makes a compelling premium option at its $600 MSRP when compared to an iPhone 7 ($650) or Galaxy S7 (~$670). I find it very easy to recommend based on overall camera quality (especially B&W! ), excellent battery life, and a very good display. Drawbacks are rather minor, and include lack of VoLTE support, and (to a lesser extent) the stereo loudspeaker design; but no current phone is “perfect”, now is it? Where to begin? Let’s start with the superior hardware and software, the 12MP Leica dual lense camera that enables users to capture the highest phone quality pictures, the ‘Press Touch’ feature that recognizes subtler variations in screen pressure, making your phone more interactive and responsive and of course, the thin, slim profile making this ‘phablet’ with a 5.5 inch screen sleek and dare I say even svelte. With its premium build, gorgeous display, the powerful Kirin 960 processor driving performance, a lighter EMUI skin, and outstanding 2-day battery life, the Mate 9 is easily the best the phone Huawei has ever produced and the best big-screened smartphone you can buy in this post-Galaxy Note 7 world. You can get a decent phone for a lot less money, but this stylish phone may attract some Galaxy converts. If you were thinking about whether you should get the Huawei Mate 9 or not, stop thinking and get it. It’s running Android 7.0 Nougat out of the box, so you don’t have to wait for any updates, 64GB of internal storage is plenty for some even if you have a 256GB micro SD card installed. The price may be a drawback, but it’s better than spending $700+ for a phone you may want to change when the next gen comes out. Top Pick smartphone of 2017 for sure. The Huawei Mate 9 is the perfect for smartphone for someone who wants the most screen real estate in the smallest package. The handset isn’t the fanciest looking device, but its solid build and use of quality materials make it respectable. When it comes to features, the Mate 9 takes into consideration what’s important for a consumer and offers a superior set with its dual lens Leica camera, 4,000mAh battery, and 5.9-inch 1080p display. 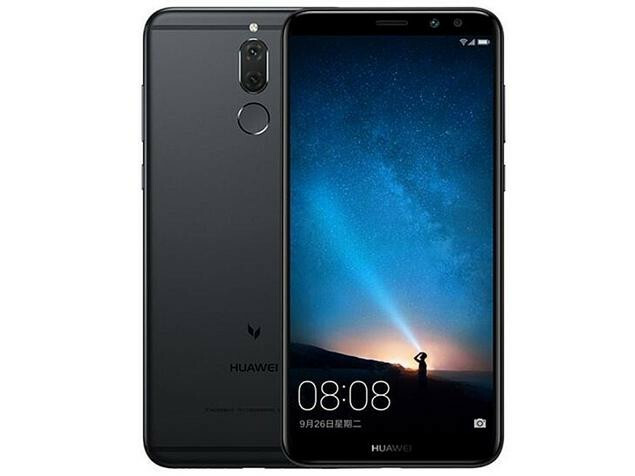 To make this device even more alluring, Huawei has priced it at $599.99 in the US, making it one of the more fairly priced flagship handsets on the market today. 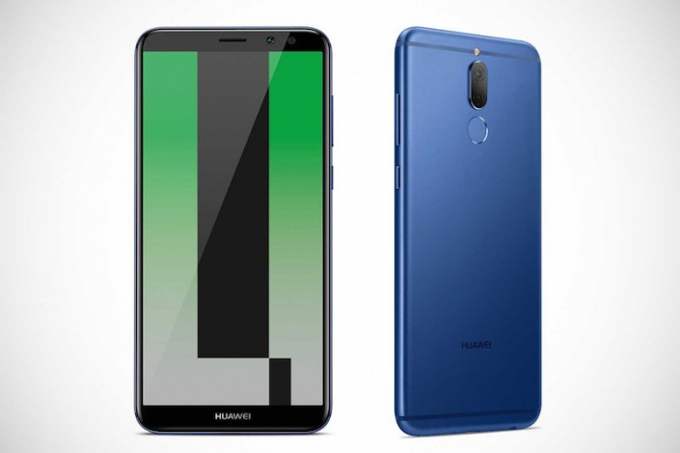 For the past few generations, Huawei has steadily improved its flagship Mate phablets while adhering to the same blueprint: large screen, slim bezels, aluminum chassis, excellent system performance and battery life. They’ve also shared some of the same shortcomings, namely underpowered GPUs and poor display and camera quality. The Mate 9 manages to improve upon the previous generation’s strengths, while fixing at least some of its issues. With the absence of Samsung’s Galaxy Note 7 and a clear phablet leader, the door has been left wide open for companies like Huawei to capitalize. If you’ve been waiting for a big-screen phone that’s fast, takes great photos and has loads and loads of battery life, then you shouldn’t look any further. The Mate 9 is currently the best big phone in the market and while that’s sure to change in the next few months, right now Huawei’s biggest phone is also its best. 80% Huawei Mate 9 review: The big-screen boss? That’s pretty much it for this first look at the Mate 9. There’s a lot to unpack here, so we’ll be using the phone (along with the GR5 2017) to get a true measure of Huawei’s claims. The Mate 9 is now available for Php 31,990 in stores. Huawei’s Mate 9 has the potential to be the best in the Huawei line-up, boasting an impressively large battery alongside powerful internals, an improved dual-camera setup and a sleek, gorgeous design. EMUI 5 makes a huge difference to the overall experience too, and we can’t wait to see whether Huawei’s new technology will actually improve the performance of the smartphone over time. We’ll give a more thorough verdict once we get the Huawei Mate 9 back to PC Advisor towers, so make sure you check back in the coming weeks for an update. This phone will most certainly suit the user looking for a large screen and a device that will last longer than a day. While it doesn’t quite manage two days, it is by far the longest lasting smartphone this writer has tested. The storage options start off well with 64GB of onboard storage and get better once you slot in a 256GB card, and the camera gives you plenty of detail on your pictures and some fun options to play around with images. The new EMUI 5.0, which is based on Android 7.0, has also been cleaned up. It’s now simpler to use, with easier access to key features. The main hook is that you’ll be able to perform a vast majority of key functions – for instance switching to a different Wi-Fi connection – in just three steps. Still, the most attractive change for us would have to be the ability to actually have an app drawer. Finally, Huawei isn’t forcing all your apps onto the home screen à la iOS. Huawei has announced that Huawei Mate 9 will arrive with an app that gives users access to the Amazon’s Alexa. Huawei says that the app will offer users a “natural, convenient user interface” for talking to the digital assistant. It will also be capable of all the usual tasks such as setting an alarm clock, making a to-do list, getting information about a specific news and reporting regarding the weather. The Mate 9 offers some high specs at a slightly high price of €699. The battery is particularly impressive for its fast charging capabilities. The huge screen should also please those looking for a phablet to replace the Note 7. It looks great but whether it will prise people from their iPhones and Galaxy remains to be seen. Great for big-screen-phone lovers, Huawei's Mate 9 packs a huge, 5.9-inch screen; class-leading performance; 12 hours of battery life; and the smarts to keep the phone speedy even months after you get it. Camera Scores Almost Similar Result to Google Pixel; US Release Imminent; Check Out Full Review! The Mate 9 truly shines with its somewhat affordable price tag of RM2699. Despite being a high-tier phablet, it has premium design, good CPU performance, great camera, amazing battery life along with features like its super charging speed makes it a very valuable device to own. A vast improvement over the Mate 8, the Mate 9 surely proved it was "born fast" and it has tackled the problem of long-lasting battery life, as well as camera quality. Whether it "stays fast" over time remains to be seen, but Huawei seem to have done their research on this. While the Mate 9’s camera doesn’t quite match the very best on the market, it is impressively close, and a major step up from the company’s previous efforts. It is a great all-around performer, although purists may be bothered by some of its inconsistencies from shot to shot. The rather attractive speaker grilles I mentioned earlier aren't just for show; audio quality from the stero speakers is very high indeed, superb even; it's not quite HTC BoomSound but it's not far off either. The Mate 9 also has the usual selection you'd expect from a high-end device when it comes to 4G, Wi-Fi and other connectivity protocols. The full selection includes Wi-Fi 802.11 dual-band, DLNA, WiFi Direct, WiFi Hotspot, NFC, Bluetooth 4.2 LE and Type-C USB, as well as a full suite of GPS capabilites. Yes. Here, we could say something about the Mate 9 being an easy recommendation because you can’t buy the Galaxy Note 7 anymore; but that’s not strictly true. While the Mate 9’s release is timely, we’d still recommend it as an alternative to the Galaxy Note 7, even if it was still on store shelves. The reason is simple, the Mate 9’s camera is fantastic, the compact body is a joy to hold, and Huawei has listened to complaints about the software, and fixed the majority of them. 75% Huawei Mate 9 Review: A smartphone that gets better the more you use it? Ultimately, despite all of the technology Huawei has crammed into the Mate 9, its two best features are its huge display and excellent battery life. While that makes it perfect if you spend all of your time watching videos on your phone, for S$898, we expect a little more. The Mate 9 also sees a price jump, which at €699 is now knocking on the door of its Apple and Google competitors. It undercuts them slightly, plus delivers headline features such as a decent dual camera. But with that price gap now closing, the Porsche Design model casting a shadow of sorts, and few points of distinction to really set the Mate 9 apart, Huawei is largely banking on Samsung's explosive exit from this market to succeed. The Mate 9 will be available in Singapore from 19 November at S$898. It will only be available in two colors, Champagne Gold and Space Gray. Unfortunately, as far as we know, the Mate 9 Porsche Design won’t be coming to our shores. 89% Huawei Mate 9 Review: It’s Big. It’s Bold. It’s Good. You don't have many choices if you're looking for a flagship phablet but the lack of choice doesn't mean you have to compromise quality. The Huawei Mate 9 is one of the best Android devices available just now, including the crop of smaller ones. For a phone that brings machine learning, dual-camera tech and revamped software to the table, the Huawei Mate 9 feels somewhat unspectacular. The phone is large without capitalising on what the extra inches can afford, and the lack of a QHD screen is particularly disappointing. The Huawei Mate 9 is a very large smartphone that does a great job of not feeling so in use. The curved back, minimal body to screen ratio and solid build mean it’s easier to hold onto than you might expect. A slight lack of design flair, fairly high price and the usual Huawei software quirks keep it off full marks, but if you want a phone that’ll keep you entertained on long journeys this mini cinema of a mobile is worth a very close look. Ultimately, the Mate 9 is an excellent phone, but is it the best value for the dollar? I’d say no. There are very good Meizu or Xiaomi phones for quite a bit less on the market right now. But Huawei isn’t interested in jumping in a price-cut war with other Chinese OEMs to win the budget-conscious market in, say, India (it’s got a sub brand for that). Instead, Huawei’s got bigger ambitions. It wants to take on Apple and Samsung in the west. The Huawei Mate 9 hits a lot of strong notes: it's fast, has tons of storage, and offers a really large screen for the size of the handset. And while we wish that the display was higher-res and a little better balanced, the fact that it's incredibly bright is a big plus. Audio performance isn't overlooked either, and the use of multiple speakers helps the Mate 9 stand its own against its peers. Even on pre-release firmware, the Huawei Mate 9 is an impressive phone. It delivers the strong performance and epic battery life we've come to expect from the Mate series, in a slightly more compact form factor, with trailblazing internals. EMUI 5 is a big, meaningful upgrade, doing away with many of our pet hates from previous versions of Huawei's software layer. The fact that the Mate 9 launches with the latest version of Android available (to non-Pixel phones, anyway) is also important, meaning buyers won't be waiting months for additional updates. The Huawei Mate 9 is an ambitious device, polished and powerful. But the Galaxy S7 Edge and the iPhone 7 Plus have a better design and camera. They're also waterproof. And Google's Pixel XL has a better camera and tons of Google-unique software perks. It used to be sad times for people who are in the market for big-screen phone (with the Galaxy Note7 demise) this fall season. But the Huawei Mate 9 is preparing for a rebound and is piercing through the clouds to offer a compelling alternative. Huawei’s Mate 9 is the kitchen sink of phones. You get a boatload of features, such as an IR blaster, clever stereo speakers, a fingerprint sensor, and a big, bright, 5.9-inch screen. It also has some of the best performance we’ve seen from a mobile processor. Although we haven’t had time to test Huawei’s machine-learning speed-saving claims, even if the Mate 9 lost 20 percent of its speed, it would still be the fastest Android phone on the market. And let’s not forget about the Mate 9’s fantastic 12-hour battery life, either. Huawei's Mate 9 is the kitchen sink of phones. You get a boatload of features, such as an IR blaster, clever stereo speakers, a fingerprint sensor, and a big, bright, 5.9-inch screen. It also has some of the best performance we've seen from a mobile processor. Although we haven't had time to test Huawei's machine-learning speed-saving claims, even if the Mate 9 lost 20 percent of its speed, it would still be the fastest Android phone on the market. And let's not forget about the Mate 9's fantastic 12-hour battery life, either. The Huawei Mate 9 isn’t quite the essential purchase that Samsung’s Galaxy Note 7 was (before the whole burny screamy saga), but it is a very good super-sized handset. In conclusion, Huawei has yet stepped up its game and offers something unique, while competing fiercely with other contenders in the $650+ phone market. Huawei has understood that without the high-end, there can be no great margins for its handset business, so it intends to compete to win and is making progress at an astonishing speed. The Huawei Mate 9 is a pretty good phone from any way you look at it. It’s got a beautiful design and is the fastest Android phone I’ve ever tested. The screen technology and the auto mode for camera could be improved upon but these are features that can't be overlooked considering the phone costs 699 Euros which translates to AED 2800. However, Huawei has priced it's phones a bit lesser in the Middle East so I won't be surprised to see an official pricing of AED 2499. The Mate 9 will launch in Singapore on 19 November at S$898. It will only be available in two colors, Champagne Gold and Space Gray. Unfortunately, as far as we know, the Mate 9 Porsche Design won’t be coming to our shores. There's a big hole in the Android phone lineup right now, and the Huawei Mate 9 aims to fill it. This 5.9-inch phablet clearly hopes to win over the million lost souls forced to drop their Samsung Galaxy Note 7, and aims to do so with a big screen, a metal unibody design, and a few intriguing software features. While we don't yet know about pricing or exact availability, we got an early look at the Mate 9 at a briefing in New York. So that’s the Huawei Mate 9 and we’re plenty excited about it. A big-screened phone with a dapper camera, what’s not to like? Of course, Emotion UI may turn out to be a flub again and carrying a 5.9in device on the regular isn’t for everyone, but for now we’re looking on the bright side. Huge phones are in short supply now, and the Mate 9 looks like it could be a big deal. The Huawei Mate 9 knows what it is, and it focuses purely on offering power-user features to those who really need a big phone. The Mate 9 isn’t for everyone then – but I know there’s a niche that will lap it up. We will bring you our in-depth review in a few days, but until then, know that this phone has one of the best cameras right now and could be the answer to the Note 7 sized void in your life. 95% Das neue Nonplusultra der Smartphone-Welt? 94% Huawei Mate 9 Análisis En Español. 89% Análise: Huawei Mate 9, o sucessor da máquina fotográfica? 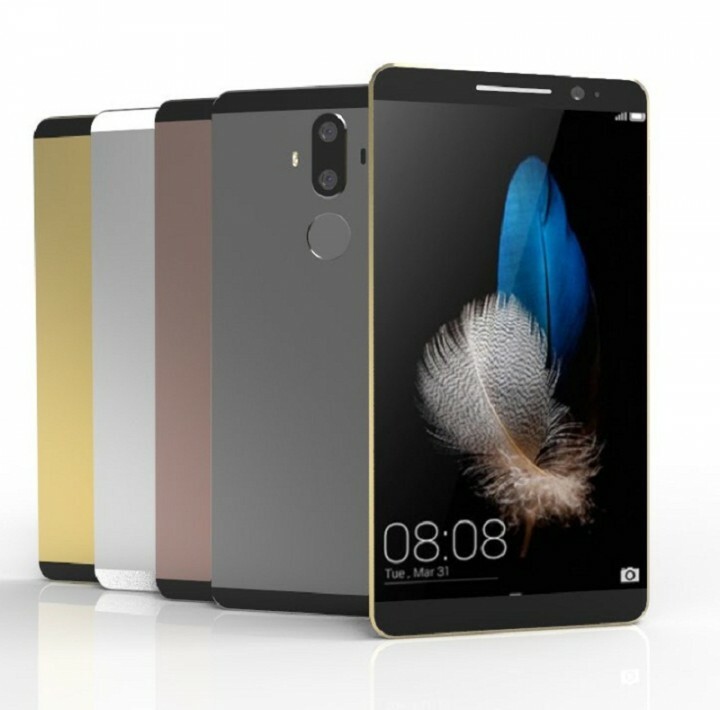 Huawei Mate 9 - Ecco com'è! 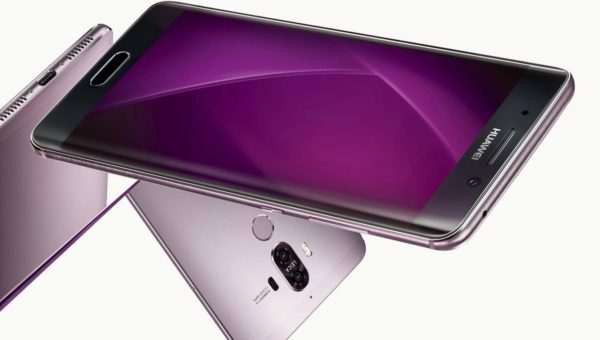 86% Test du Huawei Mate 9 : l’alternative au Galaxy Note 7 ? 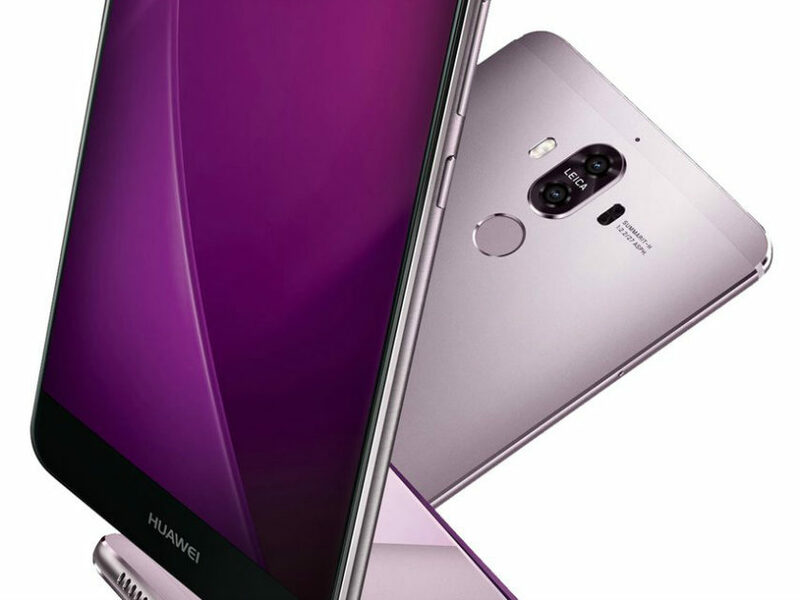 88% Test : Huawei Mate 9, le smartphone qui va faire oublier le Galaxy Note 7 ? 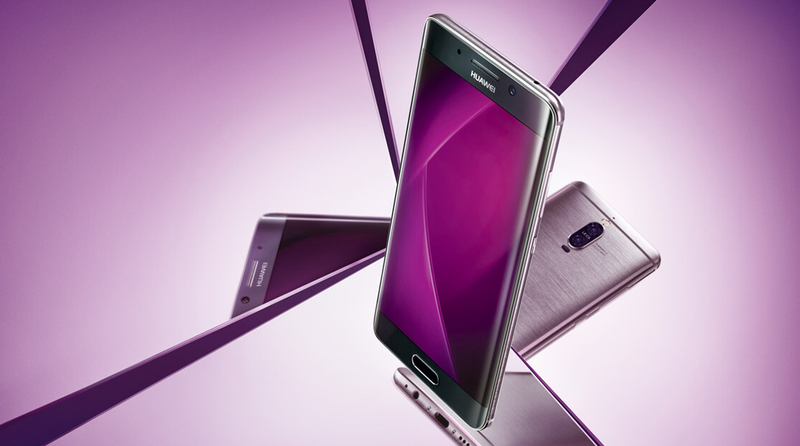 80% Test Huawei Mate 9 : De Quoi Oublier Le Galaxy Note 7 ? 24 godziny z Huawei Mate 9. Czy załata dziurę po Galaxy Note 7? Huawei Mate 9 Pro is a wonderful conclusion to the Mate 9 series, meeting the market's demand for a premium twist on all recent flagships. The sole existence of the Mate 9 Pro leaves room for the original Mate 9 popularity to grow and thus sell better by being the more affordable and mainstream model, without giving up on any important features. All-in-all, the Huawei Mate 9 Pro is a fantastic phone any way you look at it. It’s beautiful, very powerful and comes with a fantastic camera and a large battery. Simply put, it's the best Android phone released in the last few months. 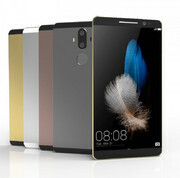 Priced at AED 2850, it’s definitely not on the cheaper side- but I don’t think Huawei wants it to to be. It’s a premium product meant to compete with the best and it succeeds. The Huawei Mate 9 Pro is definitely Huawei’s best device to date – next to the even more extravagant RM6,999 Porsche Design Mate 9, which shares many of the Mate 9 Pro’s features. In its own regard, the Pro is a very sleek, very premium smartphone, and it excels in many areas that make for an excellent overall performer. Whatever the case, Huawei's phones are going to be among the first to experiment with these features. Until then, the Mate 9 Pro is the best the company -- and almost everyone else -- has to offer. 96% Test, recenzja, opinia – Huawei Mate 9 Pro – Najlepszy smartfon Huawei w historii! Huawei Mate 9 Pro oficjalnie. A Ty ile jesteś w stanie zapłacić za logo? 92% Test af Huawei Mate 9 Pro: Mobilen der gør en glad! Цены на Huawei Mate 9 Lite пока не заявлены, также непонятно, будет ли он официально продаваться в России. Но его китайская (локальная) версия под названием Honor 6X стоит от 150 до 250 долларов, в зависимости от объемов памяти. ARM Mali-T628 MP4: ARM Mali-T830 MP2: Они позволяют запускать некоторые нетребовательные современные игры. Впрочем, производительности данных видеокарт более чем достаточно для обычных офисных задач и просмотра HD-видео. Плюсом интегрированных видеокарт обычно является наибольшее достижимое время автономной работы использующих их ноутбуков. ARM Mali-T880 MP4: ARM Mali-G71 MP8: ARM Mali-G72 MP12: Встраиваемая в мобильные чипсеты графика с 12 вычислительными блоками, в своей основе имеет архитектуру Bifrost второго поколенияЭти видеокарты предназначены только для работы с офисными приложениями и интернетом. Игры на них вряд ли запустятся, а если и запустятся, то будут сильно тормозить или вылетать с ошибками. 83.3%: No rating comment found (one expected)!Общие рекомендации по выбору электроники: Гид покупателя.